On Tuesday 12th of June it was the Scottish Education Awards, this meant that the school was up for the best school in Scotland for using technolgy. Two girls from Port Ellen Primary school, Emily and Eilidh, went with three other teachers which were Mrs Clark,Miss MacRae and Mrs Macdonald. They went away on Monday Morning and ended up with a whopping surprise. 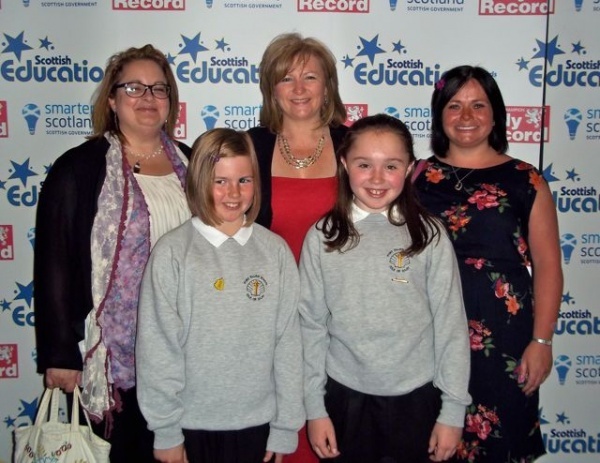 They came first in this Award which meant a lot to Port Ellen Primary. We have been using DSi. We’ve been playing Professor Layton and the Curious Village, to help us with our reading. We do it with the people that we sit beside, I play it with Scott we’re on chapter 4 and have ruffly 800 picerats. The end of the electricity topic meant a challenge, in groups to use an electrical circuit to make a Christmas related model. 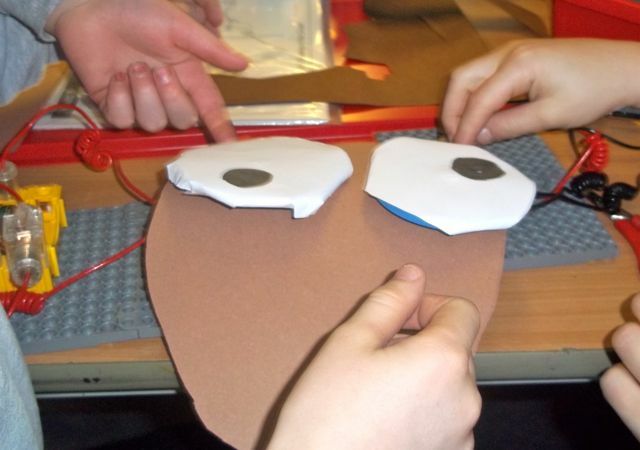 The groups had to plan, design and build a model relating to Christmas using an electrical circuit. Points were awarded for excellent design, originality and good use of circuits. At the end we had a Rudolf with a light up nose, a snowman whose carrot nose glowed orange, a Stop Here Santa Sign that had Rudolf’s eyes rotating and a christmas quiz where rudolfs nose glows if you get the correct answer. 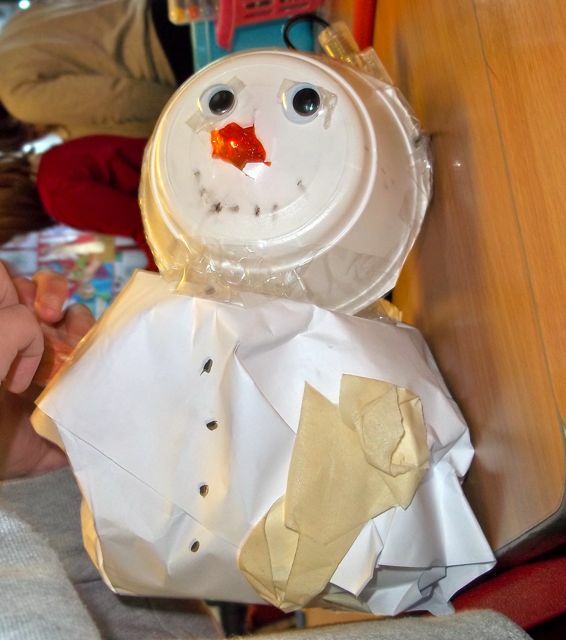 The Christmas quiz was voted the winner. 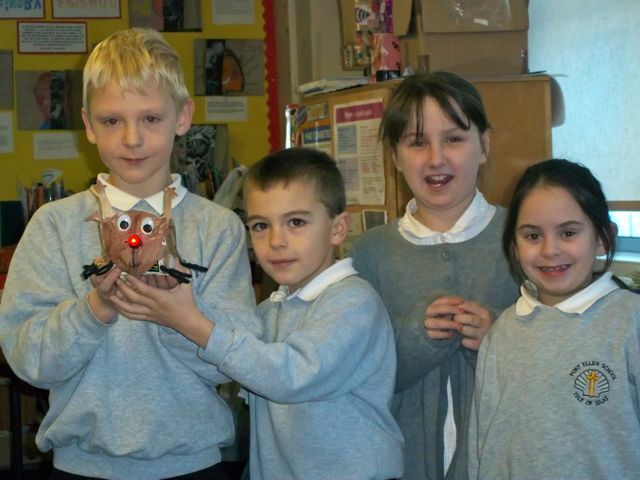 In primary 4&5 we have been busy preparing items to sell at the Christmas fair. We are looking at money this term in maths and have set up and run our own shops to find out about profit and loss. Fot the fair we conducted some market research to find out what parents and children wanted to buy. It showed us that christmas cakes and calendars were a popular item, so we decided to make both as well as other general decorations. For our calendar we took photos of ourselves in different poses and then drew or painted backgrounds that matched the month of the year. Mrs Clark then used photo editing software to put the children onto the backgrounds, and placed the pictures in a calendar template. All the items we made sold out at the Christmas fair. In p45 we have been learning all about electricity and what a wonderful thing it is. 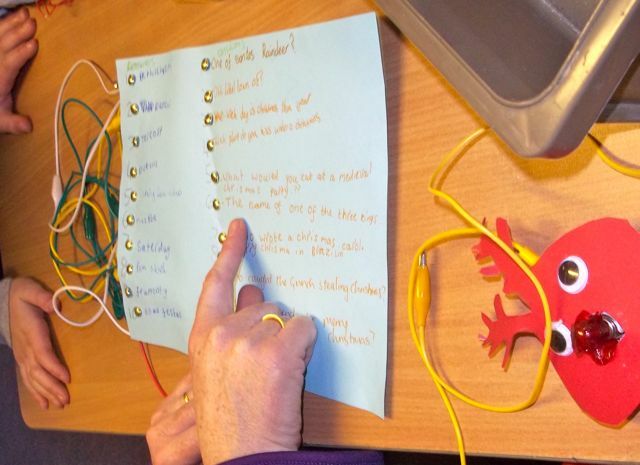 We have made lots of electrical circuits, created our own games using switches and found out what fun you can have with a balloon, some hair and a knowledge of the movement of electrons in an atom. A great explanation of many of these items can be found on Youtube under Bill Nye Science Guy, so check him out! Next week we are going to take all we know about electricity and use it to design and build an electrical Christmas Gizmo DoohDaah.